Andrey Atuchin is a freelance natural history illustrator and paleoartist living in Kemerovo, Russia. He specializes in dinosaurs and other prehistoric creatures. As a certified biologist he leverages his scientific background to inform his illustrations. Since then, Andrey collaborated with various magazines (National Geographic, Prehistoric Times, Paleomir, Discover etc. ), and with Museums and Publishers all over the World (Natural History Museum of Utah, Denver Museum of Nature and Sciences in USA, Queensland Museum in Australia, Moscow Paleontological Museum, Amur Earth History Museum and others). In addition, he has taken part in dinosaur excavations in Russia several times. He was the first who illustrated some new described species, most recently Lythronax, Nasutoceratops and Kulindadromeus. Andrey is also known as a texture artist for a series of 3D projects; 3D-models of dinosaurs for episodes for National Geographic Channel, “Lost Creatures” exhibition in Brisbane, Queensland, “Ultimate Dinosaurs. Giants from Gondwana” and many others. 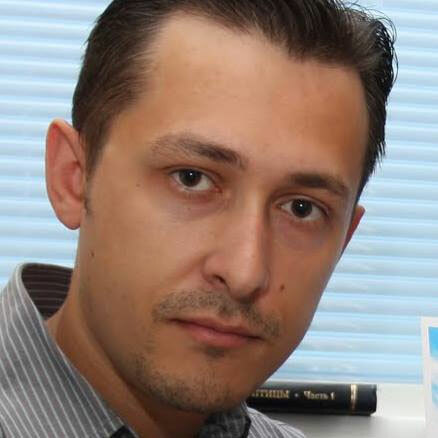 Andrey is known for scientific illustrations for various research papers and as a coauthor of some of them. He illustrated a Russian paleontological textbook and a regional version of the Red Data Book of the Russian Federation.